My Delhi. My life. As I see it. I did not have a car when I started this blog. I also did not have a DSLR. In fact I was not even sure I had an interest in photography. I would just click photographs from the camera in my mobile phone. The objective was to capture Delhi and its changing face and the moments. It has been six years since the first post. I, now, drive my car to different parts of the city. Mount my DSLR and click photographs. I do not post on this blog as often as I would like to. My love for the city is still all-consuming but my expression of that love has altered. I now have a keen interest in photography and travel to other places in the country with the gusto which was early reserved for just Delhi. I think Delhi Photo Diary (with a spelling mistake in the url) played a big role in adding little traits to my personality over the last six years. It ensured I met lot of new people, invested in exploring the city a little more and most importantly learnt a little more about myself during the journey. I might blog more this year. Or I just might become a fleeting presence in the World Wide Web. I don't know what the future holds and no longer try to find the unknown. But if anyone visits the blog and sees this post, I'd like to tell them that the journey so far has been one of the most important ones of my life. And just by visiting the blog and staying here for a few minutes they too have become a part of my life. And for that I would like to thank them. 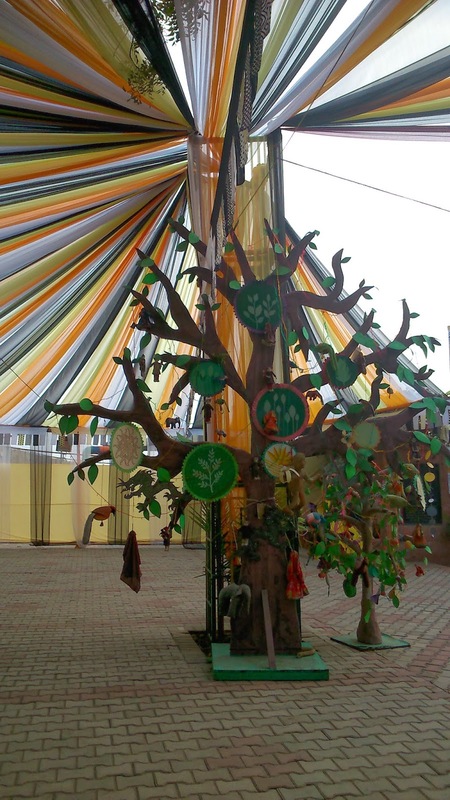 Here is a photo of the Tree of Life I spotted a few moons ago at the Design Fair at Dastakar Haat in Meharauli. I dedicate this photo to all those who have altered my life in the last six years. You have made it a lot more fun and exciting. Thanks! Also, Happy Birthday, Delhi Photo Diary (DPD)! P.S: I have decided to go back to the roots of this blog. I will be posting photographs taken from my camera phone for some time. Minus the minutes spent on Photoshop. Because I feel the need to unlearn and relearn. I am like a kaleidoscope. A series of broken identities coming together intensely to create something good, beautiful and never seen before! Other Blogs where you can spot me! Believing in progress does not mean believing that any progress has yet been made. Delhi Photo Diary has won the 2008 Indibloggies. Thanks a tonne for your votes and support.